This Christmas was as tiring as any other when it comes to advertising clutter. Ok, maybe a bit more. The fact of the matter is, the Lebanese economy has been slowing down lately. Just look at the discounts launched before Christmas; even worse, check those initiated on the 26th. It's a little bit funny. It's like saying "lucky is he, whomever did not buy from us" and to your customer .... ok, so I would rather not put this into words! 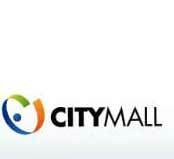 Traffic has been hectic, just not hectic enough for Christmas, especially not in malls... and competing for the public, two malls in Lebanon, CityMall and Le Mall decide to launch... well, ...the same slogan! It gets even worse, they're using the same medium and launching at the same time! We are talking outdoor advertising, billboards, to be more precise. As you cruise the streets of Lebanon, you get to enjoy two identical messages from two competing malls. Ouch, so much for advertising creativity. Now, if anyone can explain to me the genius behind this idea... because I am left feeling like an ignorant fool; especially that CityMall and Le Mall are being catered to by two huge advertising agencies : JWT and Impact BBDO, or so I have heard. I hope I am wrong, because that is too childish a game. Talk about lack of creativity: Le Mall are actually using the same graphic theme as last year, that, without the sought after slogan. Had it been a great slogan, or a useful campaign I would understand that they would end up fighting over it. 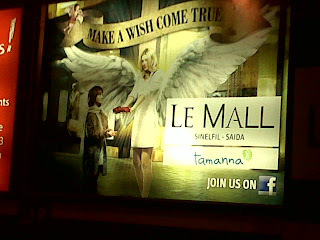 What is so awesome in "Make A Wish Come True"? A bit dull and very much cliche, if you ask me.